This article first appeared in The Edge Financial Daily, on December 5, 2017. With the help of a passionate Chinese businessman, Aman resorts saved and restored an entire village from the Qing and Ming dynasties. Now you can sleep in it. In reforested woodlands 20 miles southwest of Shanghai, a stunning new hotel is taking shape, one ancient brick at a time. When it opens in early January, Amanyangyun, the 31st hotel in the Aman portfolio and the company’s most ambitious project to date, will join a crowded scene of red-hot Chinese debuts. Only a few miles away, Capella has recently restored an entire corridor of 1930s shikumen townhouses to create a standard-setting hotel for the burgeoning financial hub; in Hong Kong, the soon-to-pop Murray is resurrecting a locally beloved building with a no-expenses-spared design by Sir Norman Foster; in Beijing, Peninsula has just undertaken a top-to-bottom renovation of its dramatic, all-suite stalwart. So what makes Amanyangyun so impressive? An unlikely backstory, a decade-long conservation project, and a commitment to historical preservation that gives any landmarked property a run for its money. If most successful hotels have a sense of place, Amanyangyun’s also has a sense of time. In a feat of preservation spearheaded by Chinese entrepreneur Ma Dadong, the resort consists primarily of 50 historic homes like the one shown here—still in its original location. Most are between 300 and 500 years old, and all have been rescued from an untimely fate. In the early 2000s, Ma—who found his success in real estate and investment management—returned to his native Jiangxi province on a routine visit home, only to find a major change afoot. 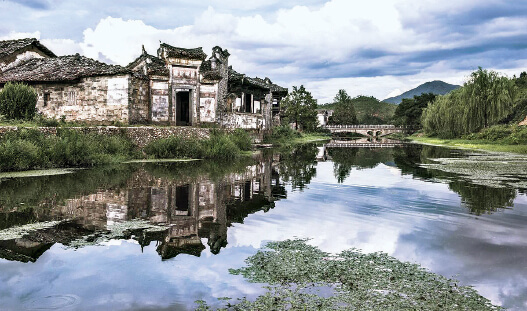 The government had just approved the construction of a dam that would imperil the area’s historic residences, forcing their owners to relocate and leaving dozens of Ming and Qing dynasty homes to rot under water. 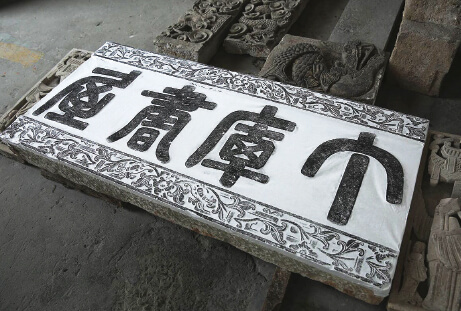 Although the exact numbers are rough, given the length of the project, more than 200 employees were said to have been hired to carry out Ma’s vision, beginning with locals in Jiangxi who broke down 50 ancient homes beam by beam and stone by stone. (Workers counted an average of 100,000 stones per dwelling, said Benoit Amado, Amanyangyun’s general manager.) Each piece was then individually catalogued and sent to a warehouse outside Shanghai for safekeeping. Rebuilding the structures, Amado said, took upward of three years per home. 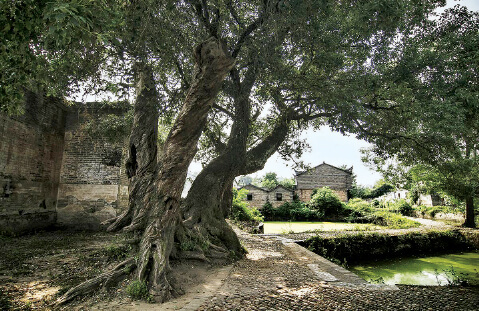 Jiangxi’s camphor trees carry something of a local mythology—Taoists believe they have individual souls or spirits. The tallest ones stretch 100 feet in the air, with gnarly, knobby trunks and tiny, white flowers in the springtime. To Ma, the trees were as critical to save as the historic homes, though they posed challenges of an entirely different type. “Some of these majestic trees weighed up to 50 tons,” explained Amado. Despite their size, the trees were fragile; ensuring their survival required quick uprooting and lightning-fast drives to Shanghai on flatbed trucks during the traffic-free hours of the night. In all, said Amado, some 10,000 trees were translocated, and 80% of them survived the three-year nursing process after being replanted on Amanyangyun’s land. The oldest one, a 55-footer, now forms the cornerstone of the resort; when guests arrive, they’ll be invited to water the “Emperor Tree” as part of a welcome ceremony meant to connect their modern-day adventures to China’s rich past. It may be five miles from the resort, but this factory-turned-warehouse is where Amanyangyun was truly born. Here, skilled artisans toiled for years, refinishing structural beams and poles, sanding them down, and making them “suitable for modern living”, as Amado put it. “In these old Chinese structures,” he explained, “they never used pins, screws, or things like that—and there are about 350 to 500 wooden pieces per villa.” As much was salvaged from the old homes as possible, everything from walls to doors and even windows. Ma proposed the idea of a hotel to Aman in 2009, and the brand jumped at the opportunity. If Ma’s role was securing and protecting a slew of national treasures, Aman’s was to make them fit for the modern-day luxury traveller. The brand brought on the award-winning architect Kerry Hill, who devised a plan to convert 26 ancient villas into minimalist accommodations. Thirteen of them are now hotel suites decked in natural color palettes that compliment original materials, such as the “China-fir” pinewood shown here. Another 12 are residences to be sold to private owners, with such modern additions as underground wine cellars, cinemas, and gyms. The last structure is perhaps the most special—a culture center lined with precious nanmu wood from Sichuan province, where daily programming is slated to include calligraphy workshops, traditional incense ceremonies, and Kunqu opera performances. Certain pieces of each historic villa tell the story of their former occupants, such as this reclaimed plaque displayed above a doorway. Although the characters are difficult to decipher—think of them as a Chinese equivalent to old English—they hint at a family with a passion for literature. Most likely, they led to a study or library. Aman remained faithful to the courtyard layouts and intricate facades of each home. But certain changes were made along the way—more windows were added, for better natural light; spaces between pillars were enlarged for more dramatic proportions; and new wings were added to each villa to accomodate two spacious bedrooms. At each villa’s core is a tranquil sitting area, where guests can enjoy the centuries-old craftsmanship with a thick novel (or hearty room service order) on hand. 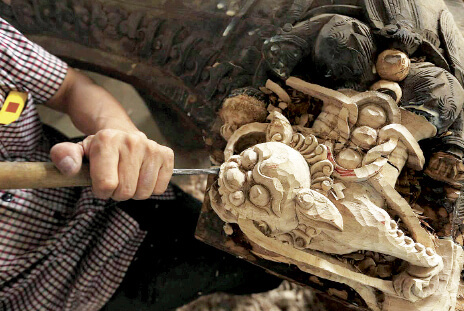 Here, a craftsman repairs a decorative wood sculpture to be installed atop a villa beam—Amado says these pieces would have represented the former homeowners’ hopes and histories. In addition to the 26 historic villas, Hill added 24 new buildings to expand the resort’s capacity. 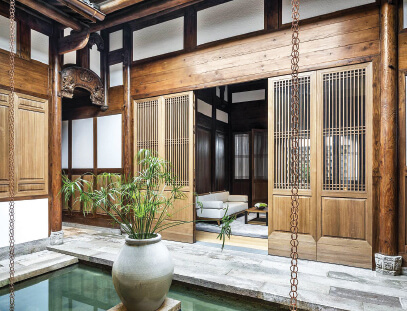 These “Ming Countyard Suites” might not have the same vintage craftsmanship and salvaged materials, but they are designed to evoke their older counterparts, with similarly hued, wood-lined interiors. Here’s a look at what a completed four-bedroom antique villa will look like. Besides the meticulously recreated historic courtyards, these suites will also have private pools and jacuzzis, two-toned wood trim around contemporary platform beds, butler service, and views of the camphor forest. Aside from the fully reconstructed villas, the resort will offer a broad array of public spaces and amenities. 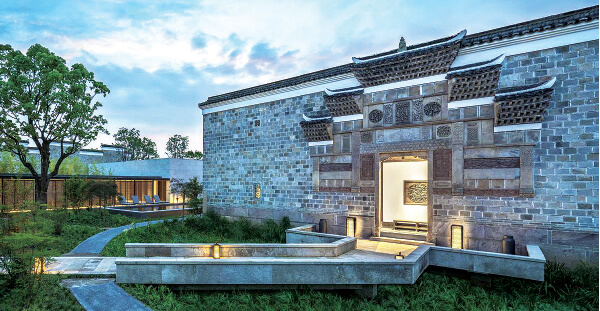 Amanyangyun’s spa will be a highlight—the company says it’s among the largest and most comprehensive of any Aman resort, with 30,500 sq ft and a menu of treatments inspired by Chinese medicine. Also worth exploring: Lazhu, the most locally inspired of three on-site restaurants. Shanghai-born chef Stee Miao will focus on traditional dishes that hail from Jiangxi province, many with roots that date to the Ming and Qing dynasties. Highlights include a super-spicy, slowly braised duck in ginger and soy gravy and glazed young Mandarin fish with chili sauce, sourced from the largest fresh water lake in China.